Now the Scotland Yard has said Skripal probably got poisoned at home and they have traced the poison back to his front door. What does this tell you? The substance was not at all powerful enough to take life of the victim instantly or even near that. If Russia was behind the scandal why would they use a weak chemical? Some argue that it is to buy time to enable the spies to escape. But, that does not fit to the puzzle. If the chemical agent reacts slowly it might give Skripal time to report to police? In that case a quick death looks more workable for the (imaginary) Russian agent to escape. For those who are not aware of the Skripal case, he was a Russian double agent living the United Kingdom. Some days back he and his daughter Yulia were found slumped on a bench in Salisbury. 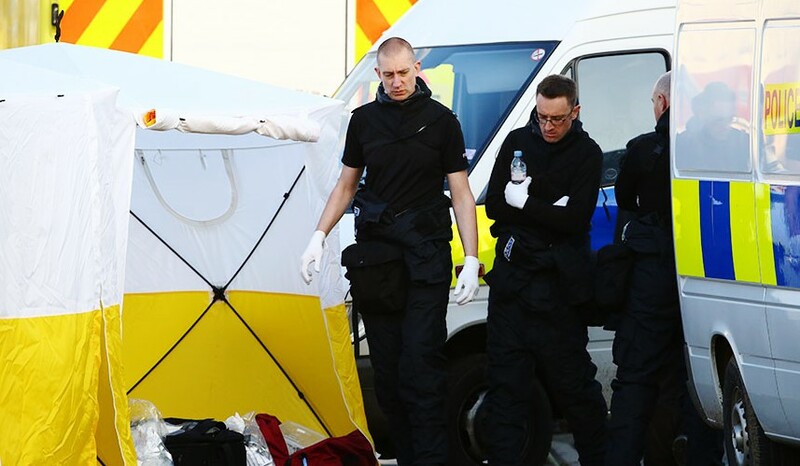 Police discovered they were poisoned to which UK government blamed Russia without any evidence while the investigation remains in its early days. UK have asked some of the Russian politicians to leave the country and many other European nations are doing the same. I am not defending Russia or UK, just trying to use the nerves in my brain. You can read about this initial incident here. Since the poison is not so strong I am thinking if could be something that is expired? Even then we have to figure out how did the substance end up on Skripal, his daughter and their front door. When he worked as a spy did he store some of that poison in an unmarked bottle to conceal it? If so there is a chance that he misplaced the bottle among other belongings and after so many years he found it but could not remember the contents inside. So, did he check the smell? And also asked his daughter about the contents inside the bottle and she too inhaled it? Scotland Yard has said they have traced the substance on his front door, his car and the restaurant he went. According to the information available on media he spent about 2 and half hours after he went out and when he was found collapsed on the beach. If someone poisoned them they would go to the hospital, not hang around and enjoy lunch, I guess. Himself being a former spy he would realise if someone gives him an unknown substance, especially at this home. And it was not only him, but his daughter too was affected. None of them rushed to hospital or called police to inform of any kind of attack. These clues highly suggest Sergei Skripal may have got poisoned accidentally by himself. What do you think? Share and ask your friends.